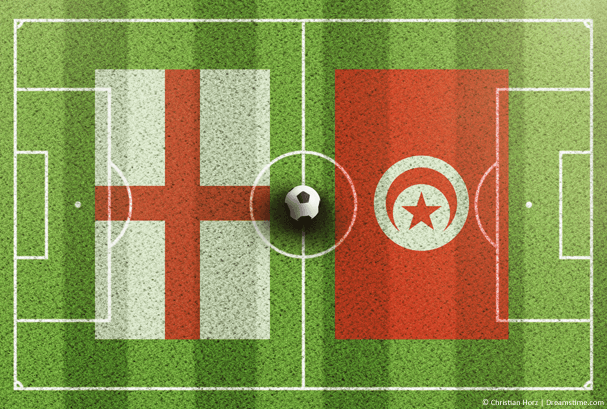 In this article, we will show you how to watch the whole England vs Tunisia match, plus all the build-up and analysis, live on the BBC no matter where in the world you are, by using a VPN. It’s finally here. After two years of qualification and months of build-up, England’s World Cup campaign is finally getting underway against Tunisia. The moment of truth has finally arrived for this young, new-look England squad. Can they finally deliver on the expectations of a nation? You don’t want to miss a minute of the action as their World Cup adventure begins. The opening game of England’s World Cup campaign is being broadcast live and exclusive on the BBC One in the UK. Their coverage will also be made available on the BBC iPlayer online streaming service too. But if you are outside the UK, you will find that you are not able to access the iPlayer and watch coverage overseas. This is because the BBC only holds the rights to show the England vs Tunisia game in the UK. They are therefore obliged to use geo-blocking technology to stop people outside the UK from being able to watch. This simple technique involves looking at each user’s IP Address. This small bit of code tells them exactly where each user is based and therefore whether to allow them to watch the stream or not. But all is not lost. Because it is actually really simple to avoid geo-blocking if you use a VPN. A VPN reroutes all your internet traffic via an external server and this server tags your data with its own IP Address. Therefore, if you are connected to a server in the UK, the iPlayer will think that you are in the UK too and so allow you to stream all the BBC’s coverage of the England vs Tunisia game live. The BBC has tried to crack down on VPN users exploiting this loophole and as a result, not every VPN still works with the BBC iPlayer. But don’t panic because there are still several that do. Our recommended VPN for using the BBC iPlayer is NordVPN. This premium VPN offers exception value-for-money, a terrific all-round service, and guarantees to be able to access the BBC iPlayer. If you want to consider some other providers too, then it is also worth taking a look at CyberGhost and VyprVPN too. But our testing indicates that NordVPN delivers the best service. Sign up with NordVPN by clicking on one of the links on this page. Choose your preferred subscription package, then just follow their simple onscreen instructions to sign up. Then visit the VPN Apps section of their website and download the correct app for your device. You can also find the app in your regular app store. Once you have installed the app, log-in to NordVPN using the account details you were given in Step 1. Connect to a UK-based server. You can do this simply by clicking on the UK on the map. Now visit the BBC iPlayer website or launch their app and you can watch every moment of the England vs Tunisia World Cup game. You will need to create an iPlayer account to use the service if you don’t already have one, but this is simple and all you need to do is enter a random UK postcode. England’s World Cup campaign finally gets underway against Tunisia in Group G. The match is being played on the 18th June at 7 pm (BST) at the Volgograd Arena in southern Russia, close to the border with Ukraine. The stadium, which is the home of FC Rotor Volgograd, holds around 45,000 people and is sure to be packed to the rafters, despite reports that the travelling contingent of England fans is the smallest to any World Cup in recent memory. Unusually, England come into the tournament without a huge weight of expectation hanging over them. With the so-called ‘golden generation’ of England players now all retired, a youthful new squad holds promise, but few are expecting it to win the tournament. Most will be happy to qualify second from the group behind the highly-rated Belgians. Manager Gareth Southgate has impressed in his short time at the helm and is expected to stick with his preferred back-five formation. With a full squad to pick from, Southgate has already confirmed his starting line-up, with Kyle Walker starting on the right-hand side of a back three alongside John Stones and Harry Maguire. Harry Kane is expected to be partnered by Raheem Sterling up front, while Dele Ali and Jesse Lingard will play in front of Jordan Henderson in the middle of the park. For Tunisia, Wahbi Khazri is their biggest name and expected to cause the biggest attacking threat. But their realistic ambitions for the game are to try and stifle England and hope for a draw. The bookies seem to support that perspective with an England win currently at 4/9, while a Tunisian victory is at 15/2. The England vs Tunisia World Cup game will be shown live on BBC One and also streamed on the BBC iPlayer. You can enjoy the whole game live outside the UK, provided you are using a VPN. 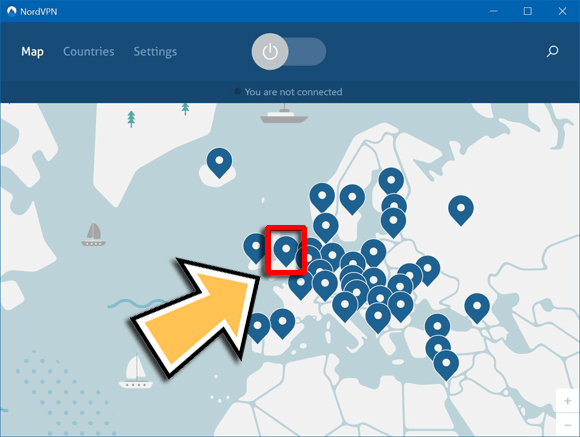 In this article, we have highlighted the best VPN for the job, NordVPN, and also explained exactly how to use it to stream the game. Once you have signed up, all you have to do is sit back and start cheering for the Three Lions! Should nothing to hide be discredited?